Today you will be met by your tour guide and driver when you arrive at Zhangjiajie Hehua Airport (DYG). 09:00 am, drive to Zhangjiajie National Forest Park, a UNESCO Global Geopark and home to the world's largest super sandstone pillars, peaks, mesa and walls! We will visit two famous sights of the park - the legendary Yellow Stone Village and the picturesque Golden Whip Stream. Another day to explore Zhangjiajie National Forest Park. First, ascend Yuanjiajie by the highest and heaviest outdoor elevator in the world - Bailong Elevator. We will discover the Avatar Hallelujah Mountain, the Platform of Forgetfulness (Enchanting Platform), the NO.1 Bridge under Heaven and etc. Next, move on to the famous Tianzi Mountain: It is known for 4 natural wonders - the sea of clouds, the radiance of the moonlight, rays of sunshine and the snow in winter. Later, enjoy a hiking (about 2 hours, mini train is optional) trip along the beautiful Ten-mile Natural Gallery. 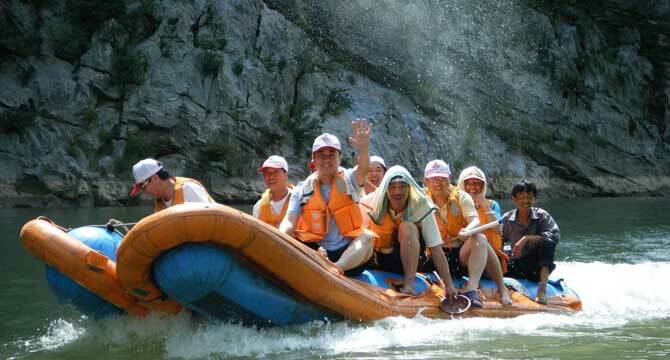 In the morning, we will drive about 1.5 hours to the scenic Mengdong River, where we will take 3 hours to enjoy the wonderful white water rafting. After a friendly tour given by Zhangjiajie Tour Guide, your unforgettable tour will conclude at Zhangjiajie Hehua Airport, .